Many structural issues that occur in homes are the result of moist foundations. Damp crawl spaces also present severe health concerns because of the occurrence of mold and other pests. This is why crawl space repair is vital. There are various factors that ought to be considered when determining which company and system ought to be used to repair your crawl space. However, many homeowners overlook many of these vital factors and end up suffering the consequences of poor repairs. Fiberglass is one of the most popular materials used today for insulation in homes. Some homeowners use it for insulation of their crawl space hoping to save energy. However, fiberglass isn’t suitable for use in a crawl space. When exposed to high levels of moisture, fiberglass traps water and becomes saturated. 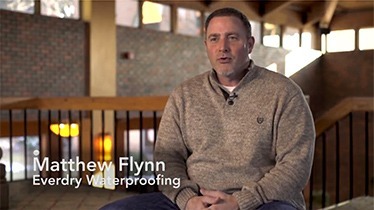 The water trapped in the fiberglass can make your damp crawl space even worse. In addition to this, the damp fiberglass provides the perfect environment for the growth and development of mold and other pests. Other homeowners who realize the problems with fiberglass in the crawl space may resort to the use of spray foam. Spray foam however, also traps water when in a humid environment. The water will be trapped between the foam and wall. This is likely to result in wood rot and other moisture problems in the crawl space. Circulation of air is important in any space. However, this should be controlled when it comes to a crawl space. Some homeowners believe that allowing circulation through open vents in the crawl space reduces the levels of moisture in the crawl space. Open vents however, only result in even more moisture collecting in the crawl space. Vents should be covered in a crawl space. The crawl space should be completely closed off from the rest of the environment for best results. Even after encapsulating your crawl space, you can still experience moisture problems if you do not pay attention to drainage. Water can pool in the crawl space where drainage hasn’t been considered. A professional waterproofing contractor will help by designing the best drainage system for your crawl space. This ensures that water is directed away from the crawl space leaving the space dry. The Mysterious White Stuff: What Is Efflorescence? Ready for a Healthy Basement?